A hidden GEM - Creating links from IBM Connections that will open in the MOBILE APP rather than a browser! 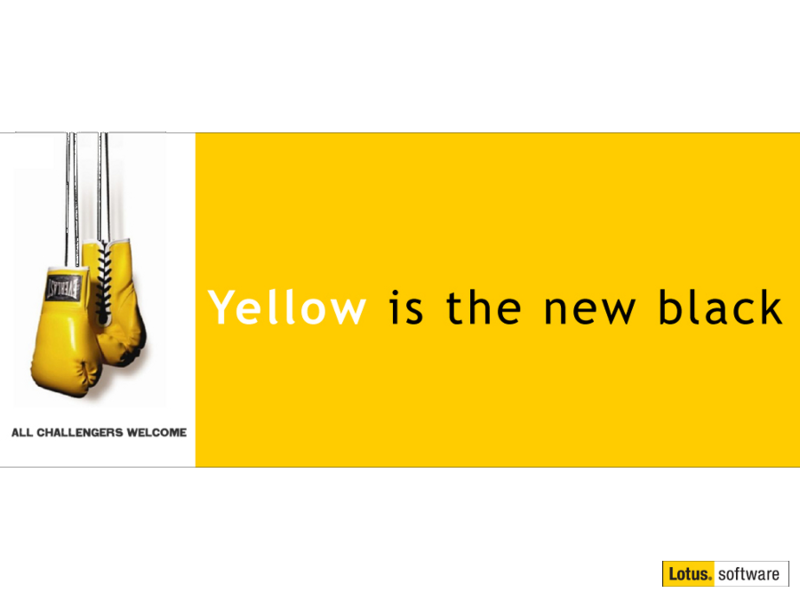 You're back. Now for the good stuff. 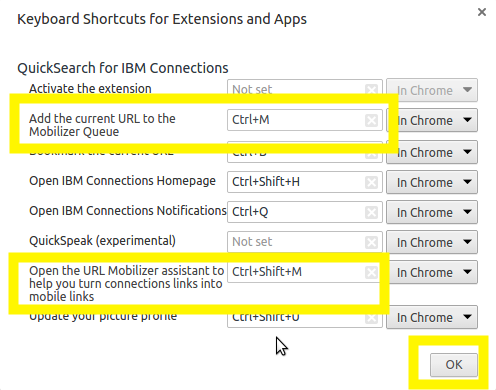 Did you know that this extension has a hidden feature that will create a link for you from an IBM Connections site THAT WILL OPEN IN THE CONNECTIONS MOBILE APP and not a browser? 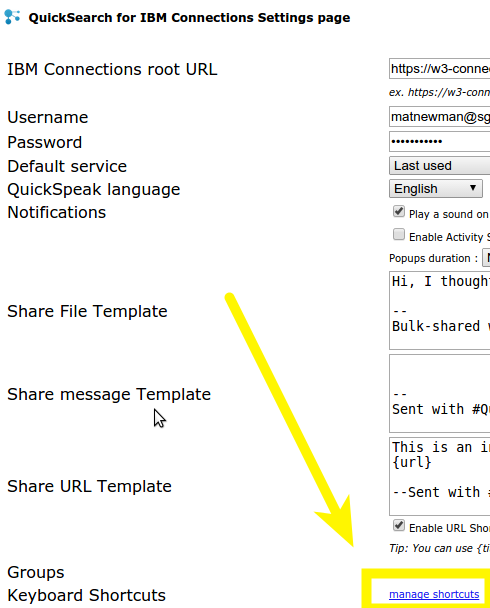 What I didn't know at the time, but have now been enlightened to it's inclusion by the developer - Romain Lienard - is that the extension contains a VERY neat hidden feature that will enable you to create a link from the currently open IBM Connections page in a browser, which you can then share. This is especially useful for calendar entries and including file resources that will subsequently end up on a mobile users IBM Notes Traveler Calendar or Email (or any other Mobile email client), but of course, can be used to link to anything in Connections, and will then provide a mobile user the ability to open the link in the IBM Connections mobile app - COOL! 1. 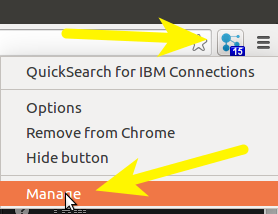 Right-Click the IBM Connections extension icon, then choose "Manage"
3. Click the link "Manage Short-cuts"
4. Go back to the extension tab and VOILA! The mobile link you can now copy and paste anywhere which includes both a BROWSER and IBM Connections MOBILE APPLICATION link! You can keep the Extension Tab open while you keep on pressing (In my case "Ctrl+M") to capture additional links in the same session, in case you want to create something like your own newletter with both Mobile and App friendly links! Thanks Romain, an AWESOME tip!